Posted on March 16th, 2016 by Lorna Parsons and filed under BPN News, Community, Events, Office, Team. 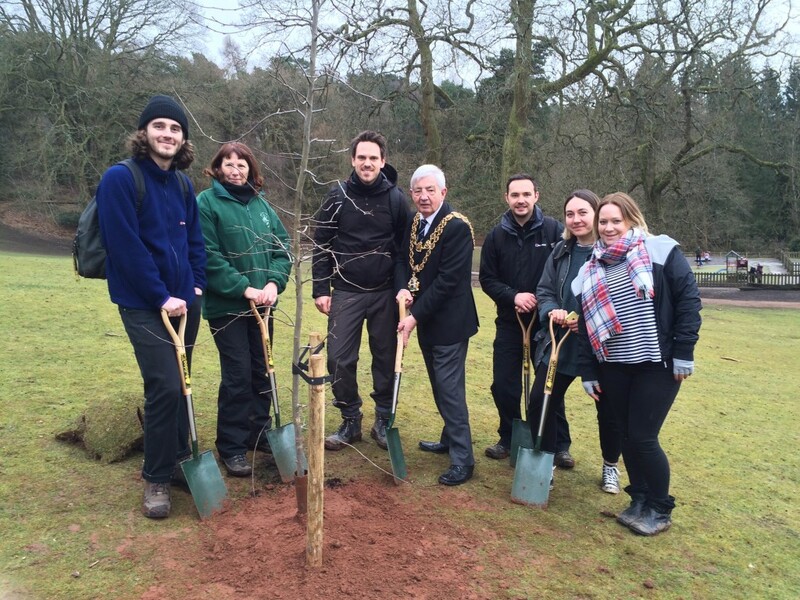 We WON the Birmingham Trees for Life (BTFL) team building day which was in aid of the Lord Mayor’s Charity Appeal. 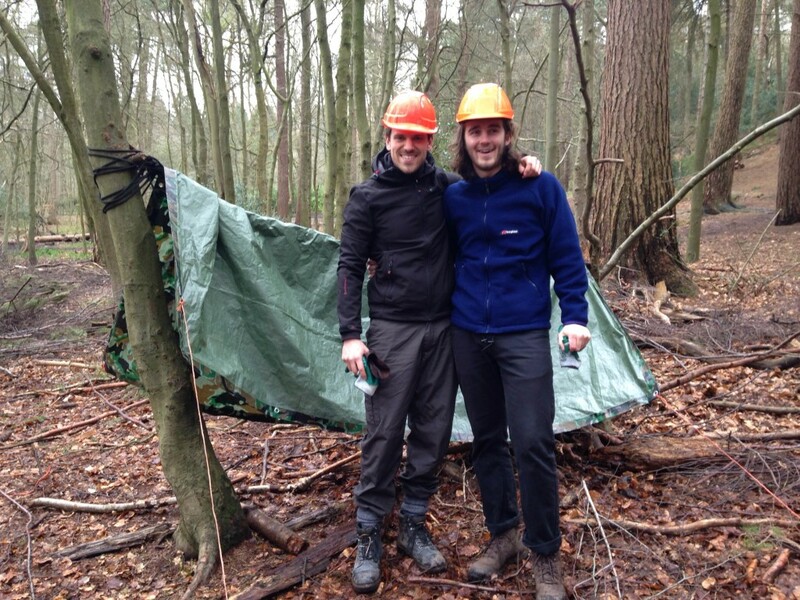 It was a day of orienteering challenges based in the Lickey Hills Woods! All in all it was a great day out. 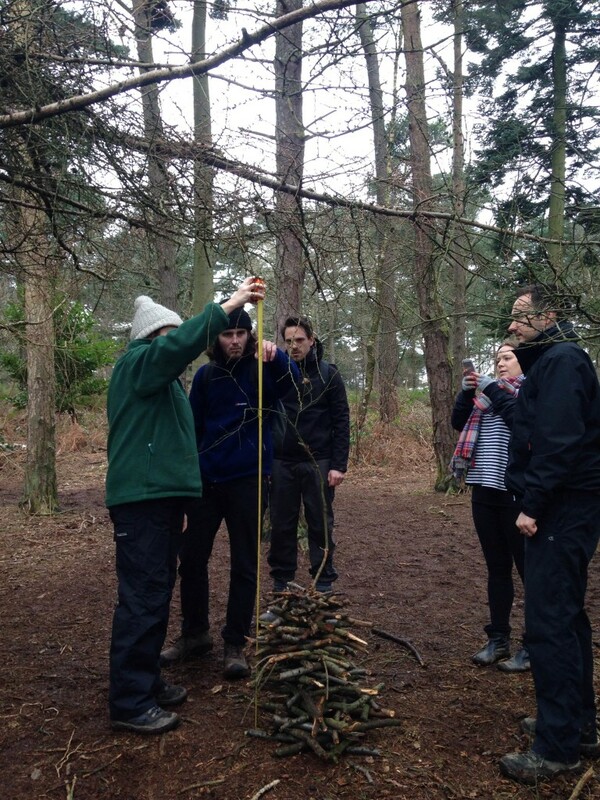 We called ourselves the Mud Larks and did the title of architect proud by building the tallest twig tower at 153cm (image below), that could also be lifted off the ground. Height was reached by sticking a long twig in the top of the tower and supporting the concept with the argument that the Empire State building achieved its tallest building status by doing the same thing. We built a temporary shelter blindfolded (image below) killed some storm troopers, knocked down some skittles, learnt what a Bilberrie looks like, scored a hole in one at frisby golf, suffered radiation poisoning by entering an alien fall out zone and successfully stepping stoned across a “river”. Helping the Lord Mayor of Birmingham Cllr Ray Hassall plant trees was a highlight and a great way to end the day after all the excitement. 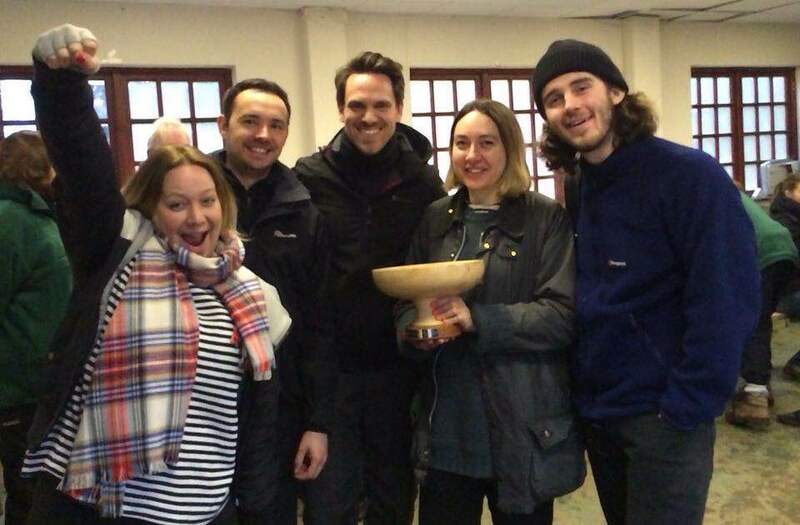 As winners we came away from the day with a large box of wine and a lovely custom made wooden bowl which is now safely stashed on our meeting room table for all to see. We would like to say a big ‘Thank You for having’ us to the BTFL team and the Lickey Hills Rangers who were a fab bunch. We hope to attend the same event in 2017 and invite you all to the challenge!! Here are two links to the Trees for Life website and a link to their photos of the day (no laughing please!). If you want to know more about what we’ve been up to this week please see out News Roundup blog post.